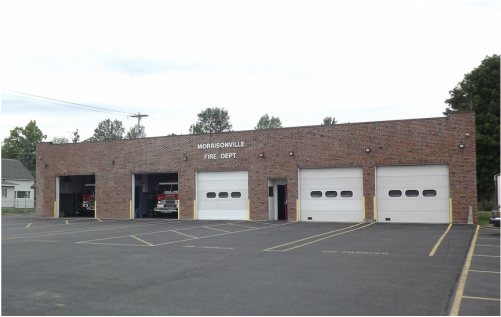 Morrisonville's Fire Station began life in 1954 as a small single engine station. It expanded twice in the next thirty years to become a five bay station with a small community room and kitchen. 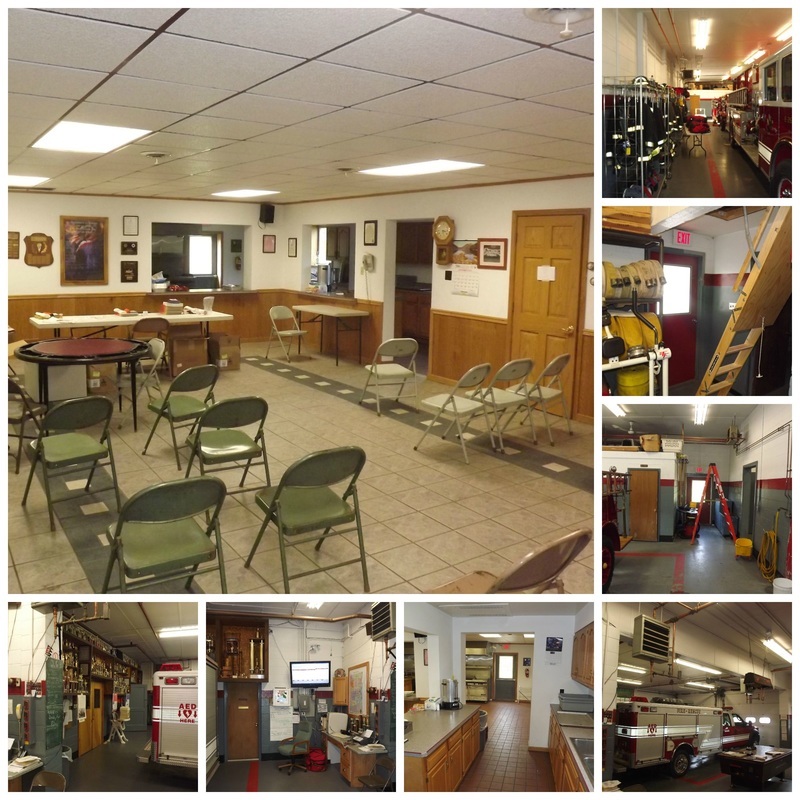 By 2012 the fire district's needs, and those of the community had grown beyond the modest 7000 sq ft facility which was showing its age. It lacked many of the standard features of modern fire stations and could not even accommodate standard fire truck designs anymore. Architectural & Engineering Design Associates approached the design with a master plan for the site that would take a nearly 60 year old building and its two subsequent additions into the 21st century. Gutting the existing facilities and redesigning the floor plans was the first step in a design that would effectively double the square footage of the existing station and bring a unified design to the entire facility. 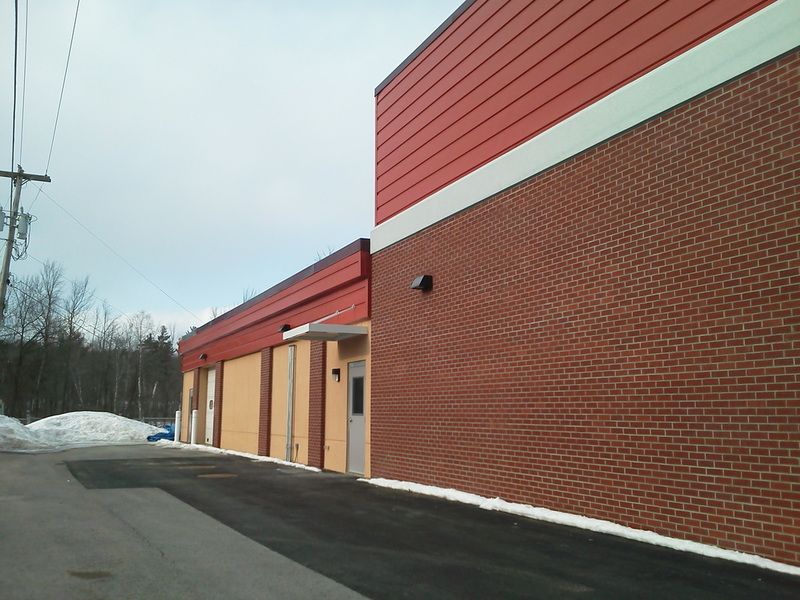 Additions to the facility included a brand new modern truck bay that would connect to two of the existing bays, an administrative addition that would include a new district conference room, storage and modern bathroom facilities, as well as a brand new public entrance to the facility. The existing station would be upgraded with a new larger community room and renovated and expanded kitchen. 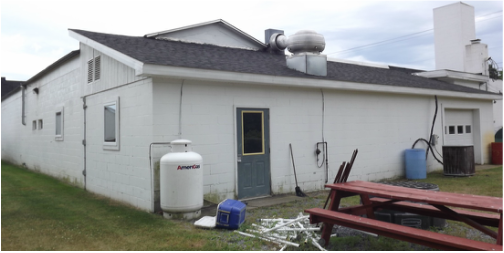 The addition of a break room and dedicated workout room for personnel as well as a new training wall and confined space rescue trapdoor on the storage mezzanine would give the volunteers the facilities to utilize outside of emergency situations. New decontamination and wash rooms, new fire personnel bathrooms and a new chief's office and radio room would complete the design. 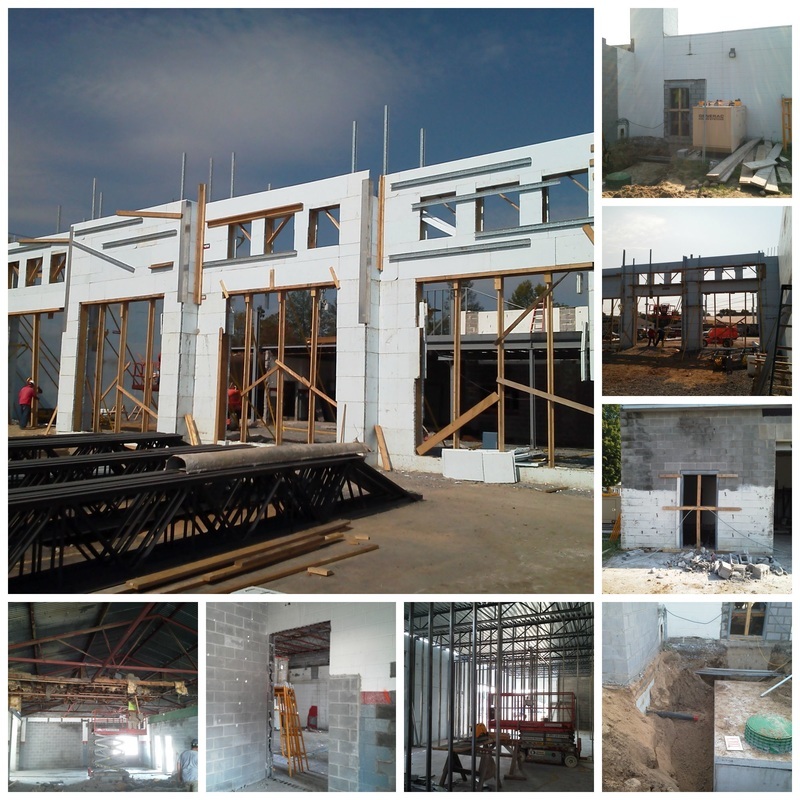 On the exterior of the building, a new brick and stucco design would wrap the entire building and provide a unified look to the building, encompassing the original structures within the modern design. Portions of the original design would be restructured and redesigned to offer a more unified rear facade. Below is an article from the Plattsburgh Press Republican that was written about the project during construction. 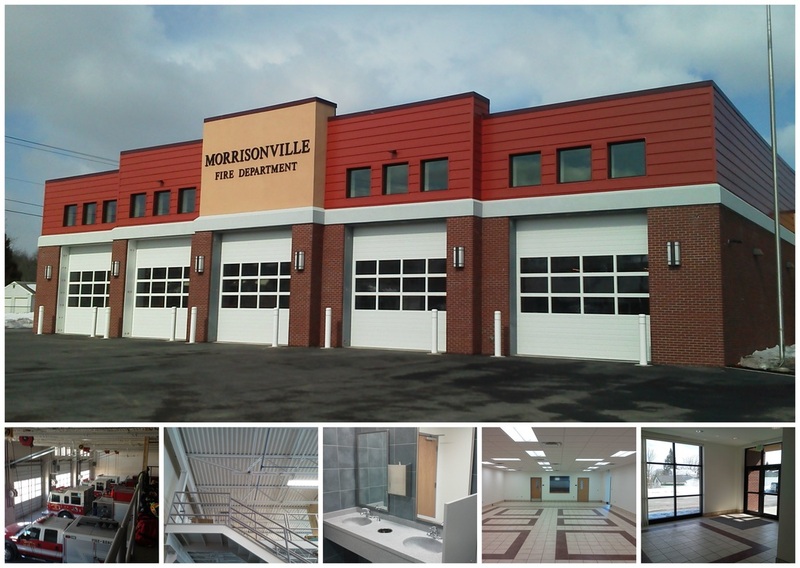 MORRISONVILLE — Right now the Morrisonville Fire Station is a shell of its former self, but it won’t be for long. “Don’t get hung up on what you see now,” architect Andrew Abdallah said. Work on the $2.5 million renovation began earlier this summer and is in full flight. The building along the Saranac River on Route 22B in the heart of the hamlet has been completely gutted. 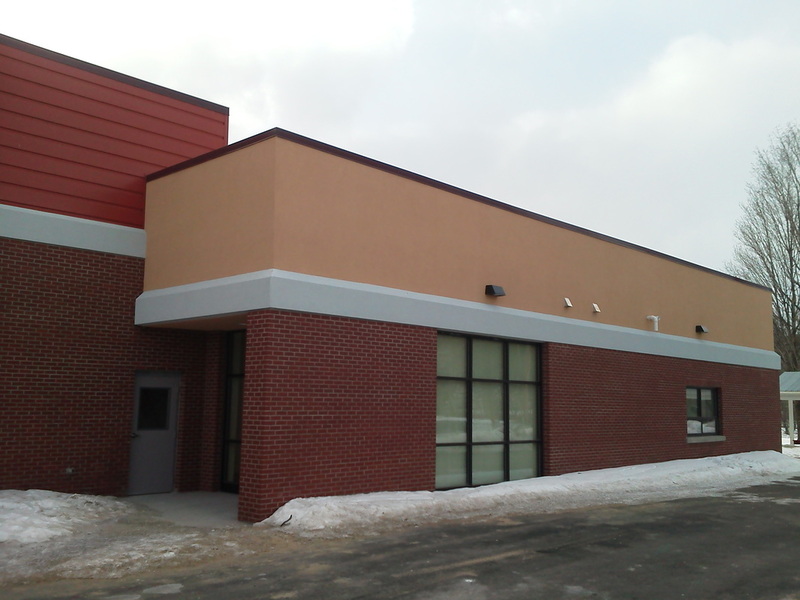 The project, designed by Abdallah’s Plattsburgh firm, Architectural & Engineering Design Associates P.C., will eventually restructure the layout of the building as well as add a 26-feet-by-70-feet area on the east side of the building, and a new truck-bay area in the front. The new bay area will have doors 14 feet wide by 14 feet high, enabling standard fire trucks to enter and exit. The previous bay doors were only 12-feet-by-12-feet, causing the department to order more expensive customized trucks. In all, the size of the building will about double, going from about 7,000 square feet to around 14,000 square feet. “We tried to think of all the things we need and add them to the plans, and I think we pretty much got everything we need,” said Gary Rabideau, chairman of the Fire District Board of Directors. The main part of the building was built in 1954. Additions were installed in 1972 and again in 1986. 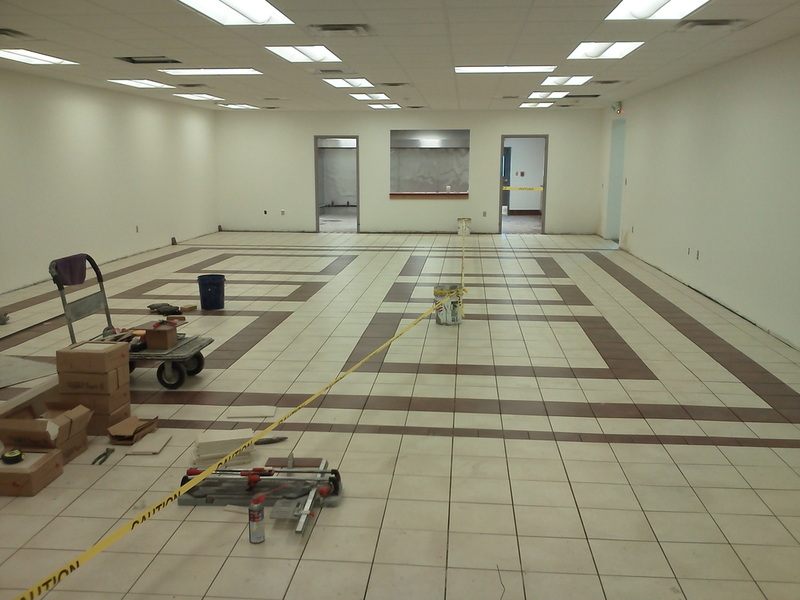 Commissioners decided last year that in order to give the department the space it needed to provide fire-protection service and to grow, the renovation was necessary. Voters of the Fire District agreed, approving the project by a vote of 88 to 63 on Jan. 31. The new building will feature more room for the department’s eight vehicles as well as a large training area and larger communications room. It will also have a decontamination room for firefighters to clean up after battling messy, sometimes toxic, fires. Handicapped bathrooms will also be installed as well as a new heating and air-conditioning system. A mezzanine will be added above the truck bays for storage, and a fitness room will be included. 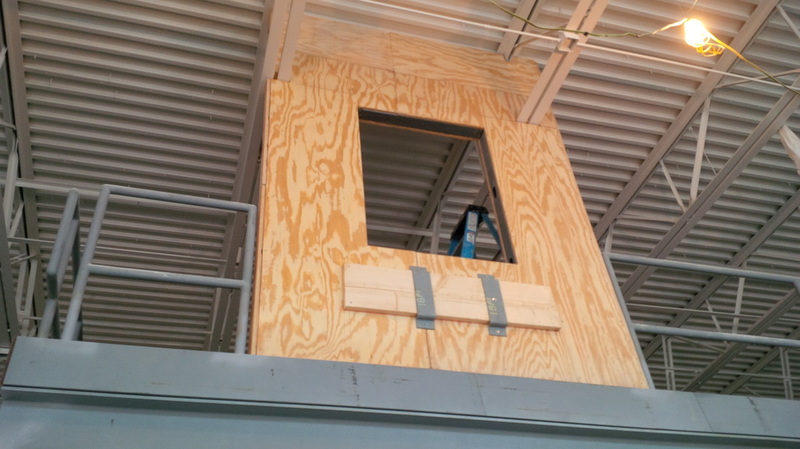 A trapdoor will be added in the new section for practicing rescues from confined spaces. Firefighters will also be able to practice rappelling on a wall off the mezzanine. 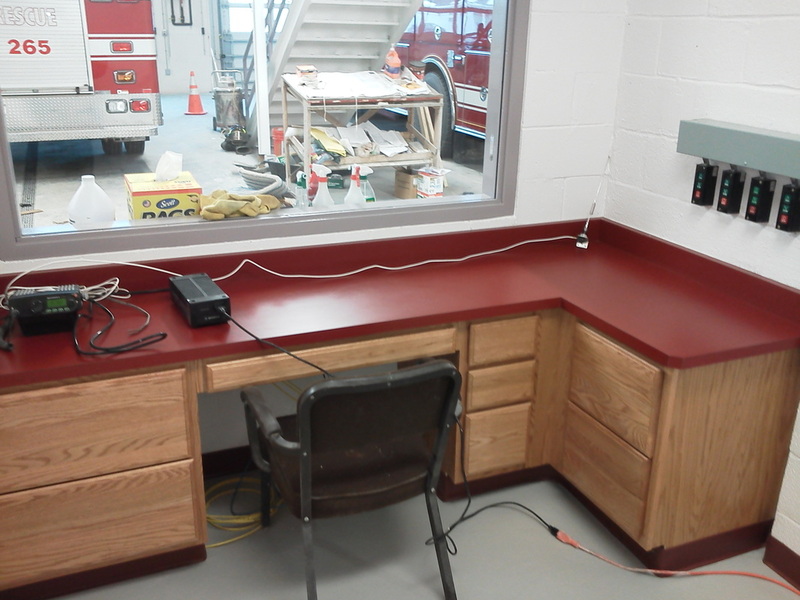 “We are adding the standard things that go into fire stations now that they didn’t have,” Abdallah said. The fire chief will get new digs as well, and the kitchen area will be enlarged. The department is known for its monthly pancake breakfasts in the winter months on Sunday mornings. “We will be able to fit 99 people in here for breakfast. About double what we had,” Rabideau said. Rabideau said the cost of the project will be spread out over 20 years. Residents will see their special-assessment fees increase from 77 cents per $1,000 of assessed property value to $1.28. “A person with a home worth $100,000 will pay about $130 per year for fire protection,” Rabideau said. Rabideau said it is important for the department to have a building that suits its needs so it can provide the best possible fire protection. He pointed out that the department has a large area to cover, which includes many commercial enterprises. “We’ve got a lot of big buildings in our district like Nova Bus and UPS, and we need a place to train in case there are fires in places like that,” he said. Tracy Trombley Construction Co. has been working away on the renovations since April, and Rabideau said he hopes the job can be completed by Oct. 1. 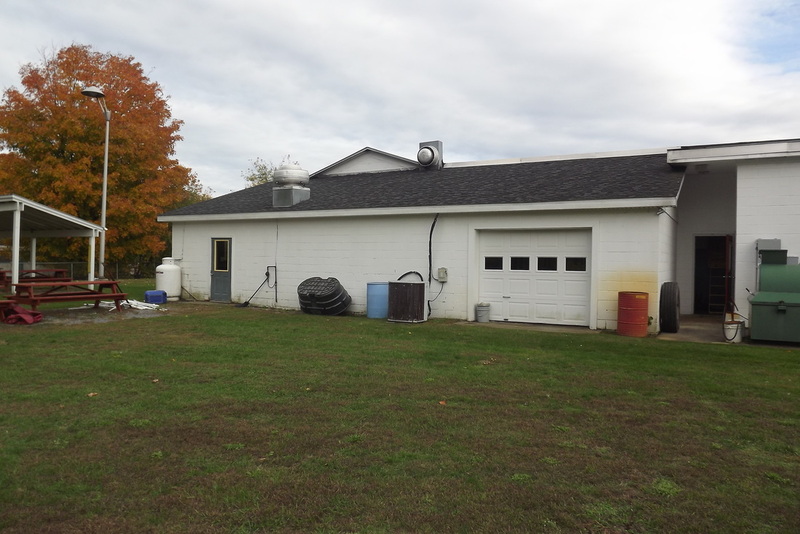 In the meantime, the department is housing its vehicles at the Clinton County Highway Department garage just up the road on Route 22B. Abdallah said the idea of completely demolishing the building was discussed, but it would have cost about $300,000 more. Also, moving the station to another location would have added about $500,000. “The biggest challenge of a project like this is selling it to the public, and I think they did a good job of that,” Abdallah said.